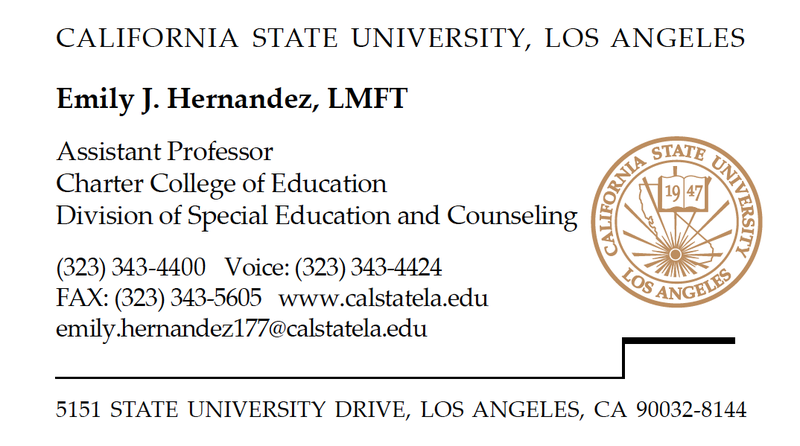 Dr. Hernandez is a full time professor at the Charter College of Education at California State University, Los Angeles. She teaches in the School-Based Family Counseling program, a graduate training program that integrates the marriage and family therapy degree with the school counseling credentials. She has extensive experience as a K-12 administrator and counselor in the area of School Counseling and Child Welfare and Attendance. Dr. Hernandez is also a Licensed Marriage and Family Therapist with experience in private practice, agency, and government settings with family systems, victims of violent crime, trauma, and children with school-related problems. Student’s Life Documentary Series, Wrote and secured LAUSD and KLCS, grant, Talent Editor, Won 2 Telly Awards. Hernandez, E.J., Brodwin, M., Siu, F. (2015) Bullying, Students with Disabilities, and Recommendations for Prevention of Bullying. Submitted to Journal of Rehabilitation (JOR 2015-76). Hernandez, E.J. (2015) Reducing Bullying, and Preventing Dropout through Student Engagement: A Prevention Focused Lens for School-Based Family Counselors. Submitted to International Journal of School-Based Family Counseling. “Bullying Basics: Understanding the Problem and Learning How to Help.” Presented at the California Parks and Recreation Society, District 10, Recreation Leader Training and Consortium. Newport, CA, May 2015. “Student Engagement: A Systemic Intervention in Reducing Bullying and Dropouts.” Poster Presentation at the California School- Based Health Alliance, Annual Conference. San Diego, CA, May 2015. “Student Engagement as a Promising Practice in Reducing Bullying and Dropouts.” Presented at the National Conference on Bullying of the School Safety Advocacy Council (SSAC). Orlando, CA February, 2015. Hernandez, E. J. (2014). Promising practices for preventing bullying in K-12 schools: Student engagement. University of Southern California. “California State University, Los Angeles, Pupil Personnel Services Credential: Authorization in Child Welfare and Attendance.” Presented for Los Angeles Unified School District Human Resources, Community Meeting. Los Angeles, CA, April 2014. “School-Based Family Counseling: A Multiculturally Sensitive Approach to Promoting School Success.” Presented at California Chapter of the National Association for Multicultural Education (CA-NAME), 3rd Annual Conference. Fullerton, CA, January 2014. “Laws Related to Education.” Presented to California State University, Los Angeles, Law and Ethics Course, Guest Speaker. Los Angeles, CA, 2013, 2014. Carter, M.J. and Hernandez, E.J. (2013) Chapter 44, The California State University, Los Angeles, Masters of Science Degree in School-Based Family Counseling. In B. Gerrard & M. Soriano 2013 School-Based Family Counseling: Transforming Family-School Relationships (pp.693-708). “Dropout Prevention, Intervention and Recovery.” Presented to California State University, Division of Special Education and Counseling. Los Angeles, CA, March 2013. 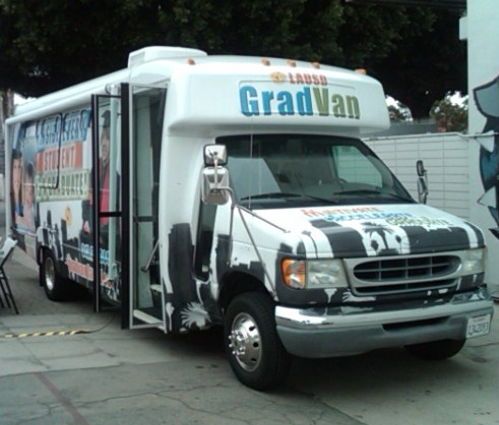 “Partnership between LAUSD and the Los Angeles Community Development Department.” Presented at Los Angeles Unified School District, City of Los Angeles, and multiple community Partners. Los Angeles, CA, 2013. “Using Technology in Counselor Education Training: COUN 505 Ipad Pilot Project.” Presented to California State University, Los Angeles, Division of Special Education and Counseling. Los Angeles, CA, 2013. “Student Recovery Day.” Presented for Los Angeles Unified School District, multiple school sites. Los Angeles, CA, 2012. “Making Safe and Successful Home Visits.” Presented for Los Angeles Unified School District, Student Recovery Day Training for School Sites. Los Angeles, CA, 2012. “Advancing Community Support through Social Media.” Presented at USC Rossier School of Education, Los Angeles, CA, 2012. “Student Dropout and Attendance: Helping Parents Understand the Problem.” Presented at Los Angeles Unified School District 15th Annual Parent Summit. Los Angeles, CA, April 2011. 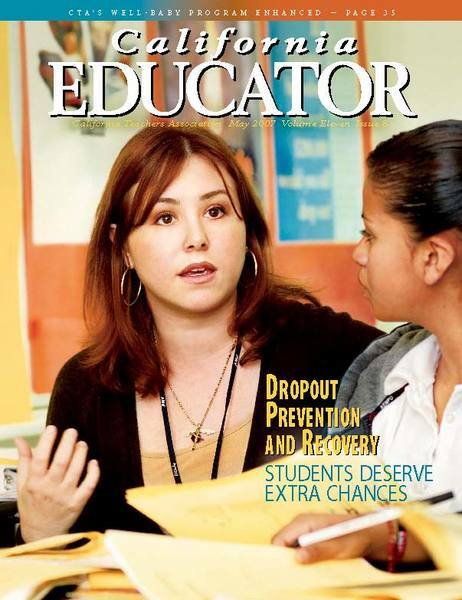 “School-wide Best Practice for Dropout Prevention, Intervention and Recovery.” Presented at Los Angeles Unified School District, Positive Behavior Support District Training. Los Angeles, CA, 2008.